If your child has started school this year you may have noticed that they’ve started to bring back homework already, usually a simple reading book in their book bag that may be changed daily or weekly and sometimes handwriting practice. It can be hard for children to do more learning in the evenings, especially after already adjusting to a full school day and new rules and surroundings, so they’ll need your help to stay focused and motivated. One of the first things to bear in mind that they aren’t expected to read their books completely by themselves at the age of four. You’ll probably need to read it to them, just encourage them to listen and follow the words with their fingers. Also, try to talk about the book and the pictures you can see in it. Their reading books might sometimes be non-fiction books; these are as equally important as story books as children find it easier to concentrate on subject matter that they find interesting and non-fiction books can help to build vocabulary. The other big factor in helping your child with their reading homework is timing. They’ll most likely be ravenously hungry and very tired after coming out of school so make sure they have a snack and a bit of time to play or watch some TV before sitting down with their reading book. Their teacher will only really expect them to read the book once or twice with you and won’t be testing them on it at all but still see if they can tell you what happens in the story after reading it and allow them to attempt a few sight words and explaining the pictures. You can also use the My Word Buddy reading app to complement their reading homework and to give you both some extra help. 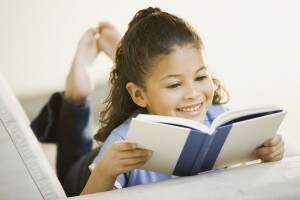 Your child will also have a reading diary that is kept in their book bag. This is important not just for letting the teacher know that they’ve read the book but also for writing down any notes that may be useful, for example any progress they’ve made or any words they are finding difficult. Lastly, don’t forget to still read with your child for fun. There is no such thing as overkill when it comes to books and a bedtime story is still the perfect way to relax at the end of a long school day.